DTRT consults with local grade schools and coaches teachers on how to have a “green” classroom. 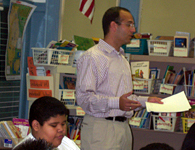 DTRT visits the class room and works directly with teachers and students. 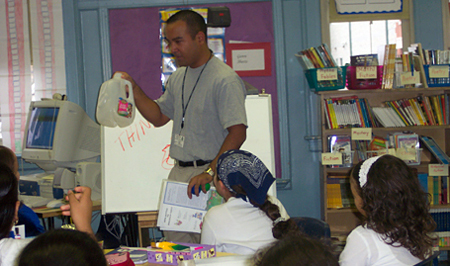 DTRT educates students on recycling issues including source reduction, material reuse, and recycling. They also assess waste trends within the classroom and provide recommendations on how to reduce waste and reuse resources as well as ways to get students involved in the action! Co-Founder of DTRT, Adam Goldstein, states “we want to develop good recycling habits early in a child’s life so they develop environmental awareness”. Once methods have been established, DTRT will provide periodic re-evaluations of the success of the program and make improvements to the program as necessary.